 We’re off to a fantastic start to the 2018 fishing season at Trout Haven! With the air temperatures approaching 80 degrees on Saturday, it was hard to tell that this was only the beginning of PA spring fly fishing season. It was the perfect all-around weekend with success on dries, nymphs, and streamers. 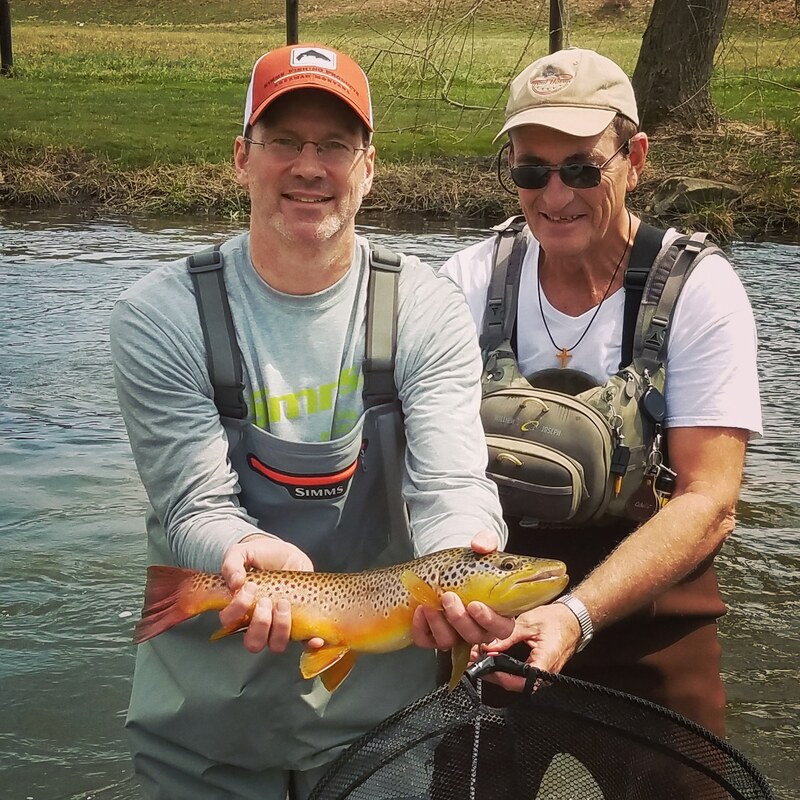 It’s important to be proficient in all three styles to have the most success during the PA spring fly fishing season. 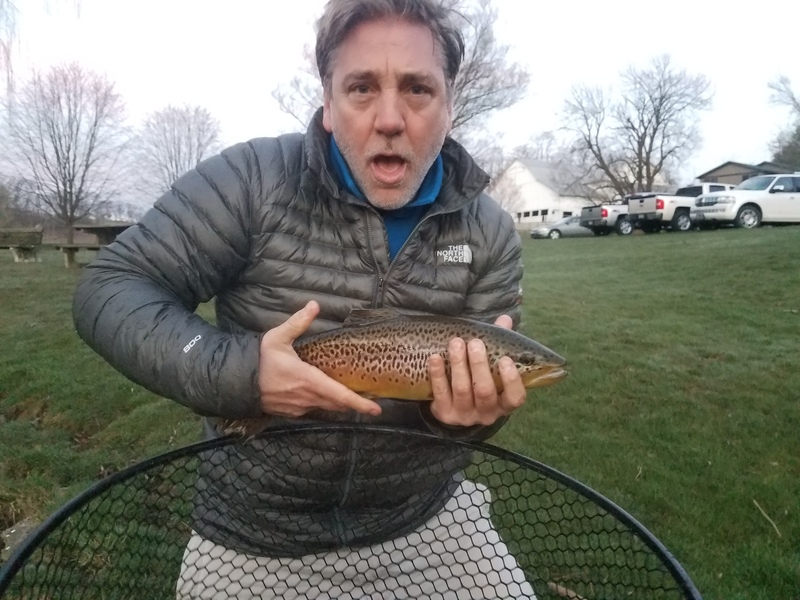 The first hatch of the PA spring fly fishing season for which avid anglers get excited is the Grannom Caddis hatch. Under the right conditions, the Grannoms can swarm the skies with countless numbers. The extreme hot-then-cold weather this weekend obscured the grannom caddis hatch on Spruce Creek. There were still a few fish willing to come to the surface for a Grannom snack. The caddis pupa and emerger patterns were our most effective Grannom patterns. Dry fly fishing is usually the ideal scenario for most anglers. We crave it. After persisting to match the right life cycle of the Grannom caddis, we were amused at how willing to hit a streamer some fish were. The higher, murkier waters of spring are the perfect conditions for streamer success. 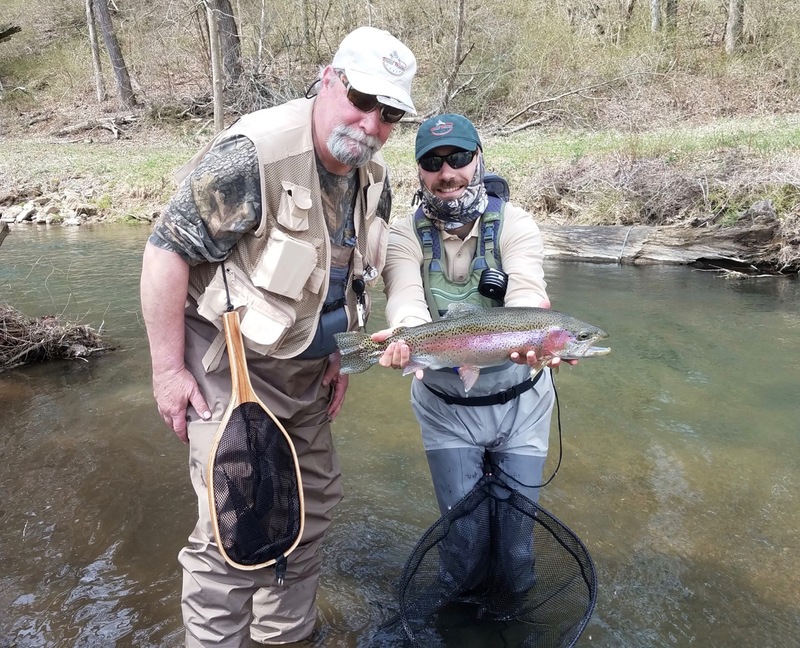 Always be willing and ready to tie on a streamer during the PA spring fly fishing season. 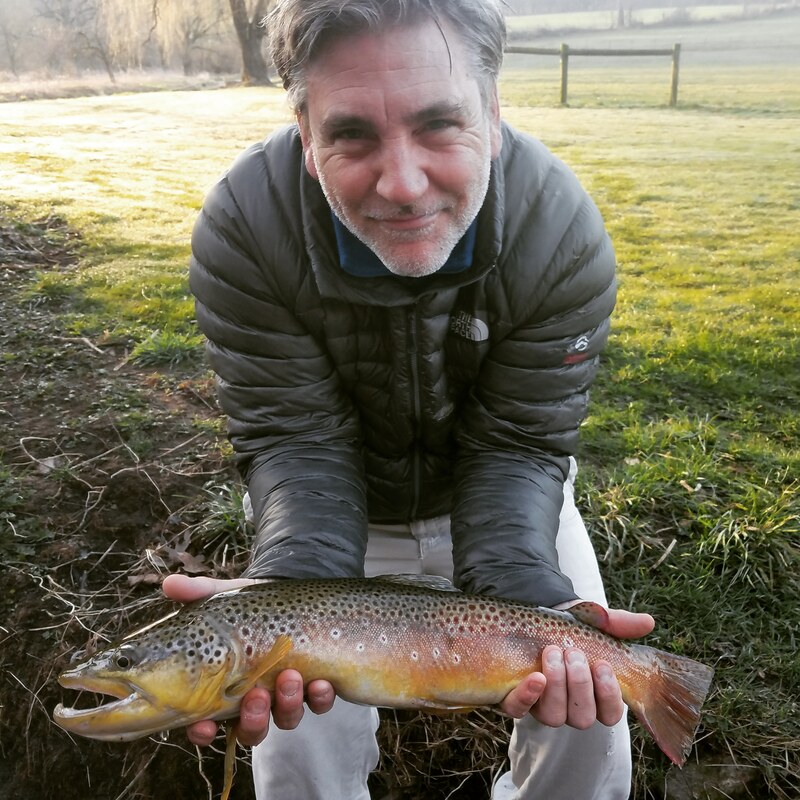 Don’t miss your chance to catch huge beautiful fish at Trout Haven this season! Visit out webpage for Spruce Creek PA Guided Fly Fishing Trips for open dates.